Please join the School of Architecture for a lecture by Joan Busquets on his new book Urban Grids: Handbook for Regular City Design (ORO Editions, 2019). This lecture is co-sponsored with the Harvard Alumni Architectural and Urban Society (HAAUS), and presented in conjunction with the exhibition Regular City: Construction of Ideas Past and Future. 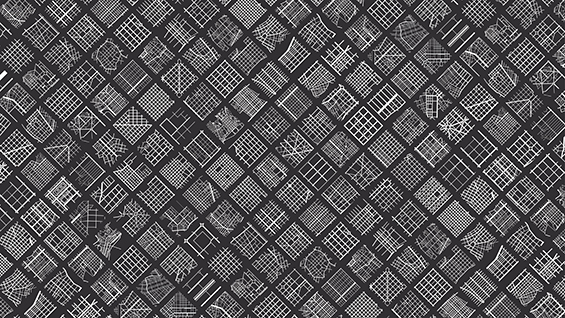 The exhibition is founded upon material from the upcoming publication Urban Grids, the result of an eight-year research project undertaken at the Harvard University Graduate School of Design on regularity in city design, with a particular emphasis on the latent capacities and projective potentials of the urban grid. Research into existing cities and projects is revealing new emerging conditions for the urban grid, presented here as possible paradigms for the city of the future. Joan Busquets is an architect, urban planner and the Martin Bucksbaum Professor in Practice of Urban Planning and Design at the GSD, Harvard University since 2002. Prior to that he was professor at the School of Architecture in Barcelona UPC-ETSAB, founder of LUB Barcelona, and Head of Urban Planning for the Barcelona City Council in the preparations for the 1992 Barcelona Olympics. He has developed urban projects in The Hague, Delft, Geneva, Rotterdam, Toledo, Lisbon, Toulouse, Singapore, Montreal, and Sao Paulo, among others. Busquets has been awarded with the 2012 Paris Grand Prix Spécial de l'Urbanisme (France) and 2011 Erasmus prize (The Netherlands). He was elected full member of the Académie d'Architecture de France in 2016. Busquets has published many books, including: Barcelona: the Urban Evolution of a Compact City (2014), Toledo and its Future (2000), The Old Town of Barcelona: A Past with a Future (2003), Bringing the Harvard Yards to the River (2004), Six projects for Downtown's Den Haag (2004), Cities X-Lines: A New Lens for the Urbanistic Project (2007), Cerdà and the Barcelona of the Future (2009), Joan Busquets - City in Layers (2011), World Architecture Magazine n º 272 WA - Designing Urban Architecture: Joan Busquets+BAU/BLAU (2013), Toulouse - identité et partage du centre-ville (2014), Redesigning Gridded Cities (4 Volume Set: Hangzhou Underlays, Manhattan Framework, Chicago Boundless) and Barcelona Collage (2017), Savannah: Rethinking the Multi-Scalar Capacity of the City Project (2018) and Urban Grids: Handbook for Regular City Design (2019). A reception and exhibition viewing will follow the lecture from 7:30-9pm.